“Insufficient funds”, “Credit card declined”, ‘Invalid card number” – credit card decline codes could be mysterious and ambiguous, especially when they are followed by numeric codes. 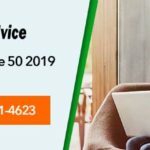 So, if you are facing issues while integrating Sage 100 with Sage Payment Solutions and don’t know what that numeric error code means, then here’s all you need to know. Most Common Sage 100 Payment Credit Card Decline Codes and What They Mean. This decline code means ‘Do not honor’ and indicates insufficient funds or a credit card restriction. You need to contact your customer care or bank for further information on this decline. These are general decline messages that might have occurred due to some issue at your credit card issuing bank. To know the exact reason, you need to call your bank. This is a term ID error and signifies invalid merchant ID. Check with your credit card issuing bank or call our Sage customer service number to fix the issue. The error message means Pick up card (no fraud) and is a general decline message from your bank. The decline code 000005 is a generic bank decline message which means Do Not Honor. It signifies that issuing bank has declined to authorize the card. Sometimes, the cause can be insufficient funds also. The transactions are processed on an account that is set up for Retail rates. The credit card is a Discover. The transaction was processed automatically as a recurring customer. You can fix the error by manually reprocessing the transaction. This error message corresponds to hold call or pick up card (fraud account). This is a special condition restriction from your bank and you need to get in touch with your branch to fix the issue. This is a Mastercard-only response and signifies “Honor with ID”. You need to contact customer support to get your identity verified and retrieve the authorization number to get through the transaction. This is a card number error and signifies that the card number that you have entered in invalid. You need to confirm your credit card number and enter the right number to resolve the issue. Visa, Mastercard and Discover cards are 16 digits, while Amex cards are 15 digits. This error message means that the card has been reported as stolen card and there are restrictions on the card from the issuing bank. You need to get in touch with your bank to solve the issue. This error message means that there are insufficient funds in your account. You need to call your issuing bank to get the issue fixed. This error message pops up when you are trying to make a payment using a card that’s either expired or has been cancelled by the issuing bank. The error message means that your card has exceeded the withdrawal limit. Check your withdrawal limit and call your bank to get the issue fixed. This error occurs when your account cannot be located with the issuing bank. You need to call your customer support team to check the issue with the bank. 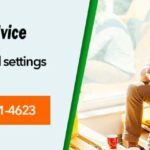 This is a system error and occurs when Sage payment solutions is not able to reach your credit card issuing bank for authorization. You need to call your bank to fix the issue. This error occurs when your transaction has been identified to be potential fraud. You should try entering the transaction manually or call your bank to fix the problem. Getting a different error message? Need expert help to fix your error message? 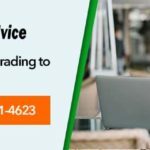 Call accountingadvice.co at +1800-961-4623 and our expert technicians can help you fix all the credit card decline error messages for complete peace of mind. 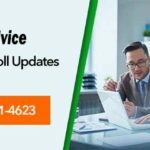 accountingadvice.co is one of the leading remote Sage tech support providers for your Sage accounting software. We have a team of certified professionals who have years of experience in resolving all Sage accounts related issues. Whether you are facing issues while installing Sage on your desktop or need help to fix error messages that are hindering the performance of your software, we can fix them all in the minimum wait time possible. Not just that, we can also help you update and upgrade your existing software for seamless performance. We assure first call resolution of even the most complicated issues. So, call us toll free at +1800-961-4623 and we can help you make the most out of your business accounting software. Call now!